What type of bouquet fits your style? 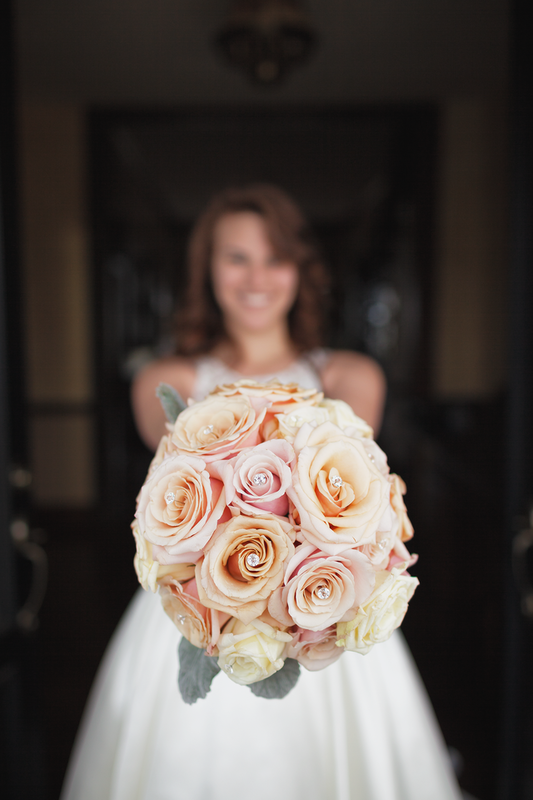 The bouquet you carry down the aisle is a direct reflection of you and your style. Just think....it will be in almost every picture from your wedding. It is a big deal!! When I sit down with a bride for a consultation, her bouquet is the first thing I want to talk about. 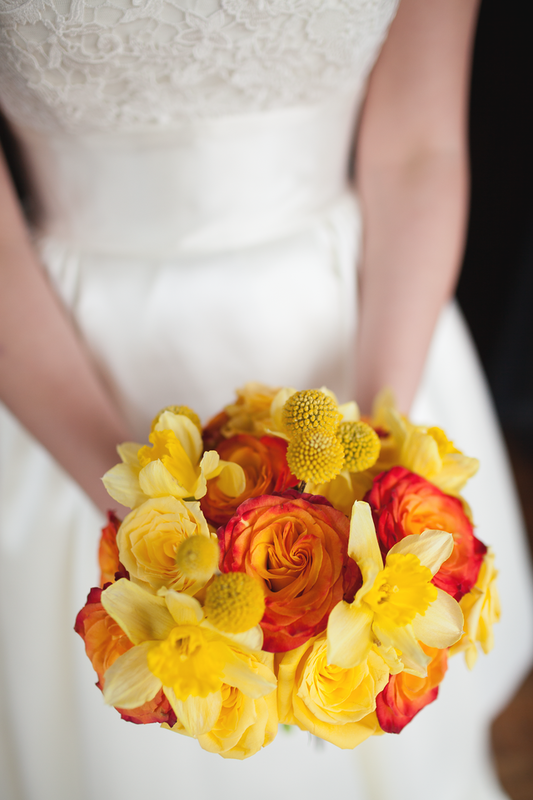 What she chooses for her bouquet sets the tone for the entire wedding. If she chooses a handheld bouquet of loosly tied wildflowers, I know the wedding is going to have a casual feel. If she chooses a round bouquet of open roses, peonies, or orchids with rhinestone accents, I know she likes traditional and she likes bling. 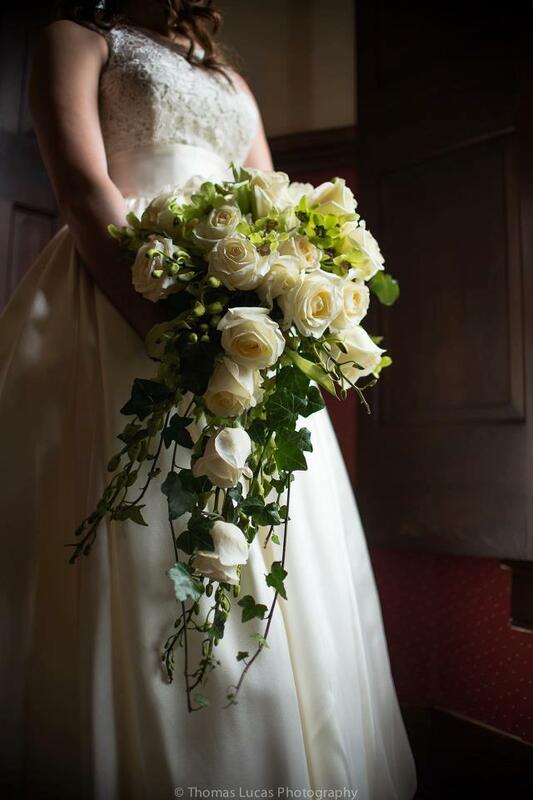 The bouquet a bride chooses says a lot about her, so knowing what kind of bouquet you want is important when sitting down with your wedding florist. So let's go over a few types of wedding bouquets! This type of bouquet has by far been the most popular type of bridal bouquet over the past 15 years. It does not have to have a perfect round shape.....it can have a more loose wildflower look to it and still be considered a handheld bouquet. The biggest distinction about this bouquet is that the flowers are not attached to some sort of holder. The bride holds the stems of the flowers in her hand--usually wrapped with some sort of ribbon or cloth. These bouquets can be very casual, or very formal...depending on the types of flowers you use, the way in which they are tied, and the types of extra accents you add, such as brooches or rhinestones. These bouquets are chosen by many brides because they are easy to carry--sometimes a bouquet holder can feel awkward in the hand. They stay fresh for a long time, especially if the stems are exposed and can be placed in water. They are an expecially good choice if you plan to use hydrangeas or other flowers that require a steady water source. Often times, a bouquet holder can dry out, causing flowers to wilt. This is by far the most "traditional" type of bouquet you can choose. 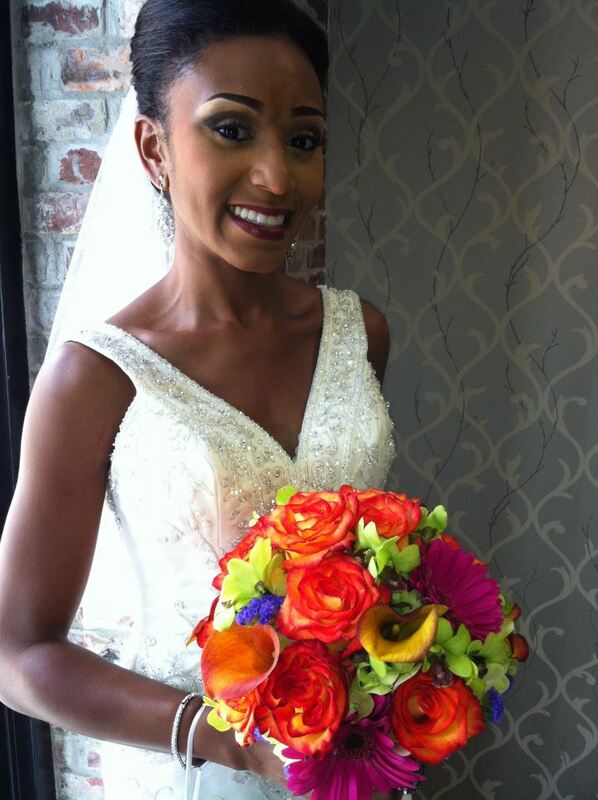 I have been having more and more brides choose cascade bouquets for their 2013 weddings--and why not? They are big, they are showy, and they are beautiful. This is the bouquet to choose when you really want to make a statement. Because the flowers are attached to a holder, it is easier to incorporate a lot more flowers into a cascade bouquet than a hand held. Hand helds can only be so big before it is difficult to hold them. A cascade bouquet in a holder does not require a bigger hand to hold! However, they can be awkward and heavy. Also, because their water source can dry out, flowers for a cascade bouquet should be chosen wisely. Roses, orchids, and lilies are great choices for a cascade bouquet. Above all....when choosing your bouquet....choose something that reflects your personality. There are no wrong choices! 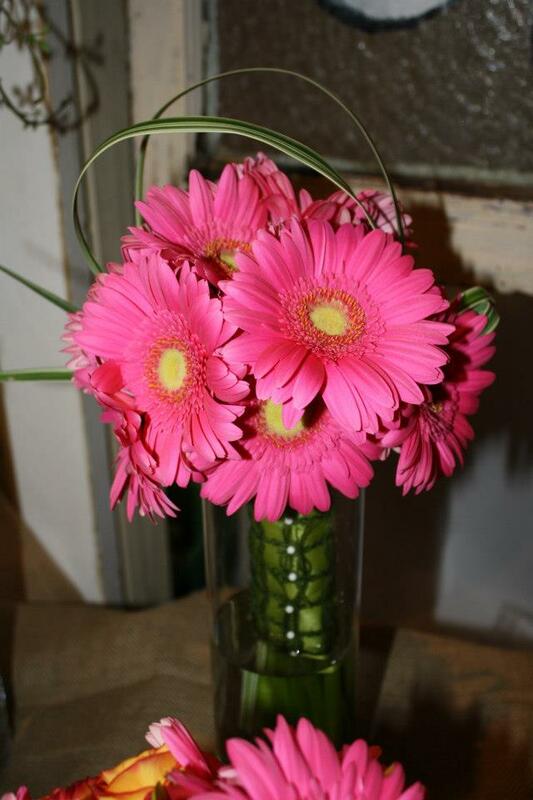 If you like gerbera daisies--choose them for your bouquet!! If you want to carry an arm bouquet of calla lilies or roses like Mrs. America....choose that for your bouquet!! Choose the flowers that make a statement that says--"this is me!" Do that, and you can't go wrong! Looking for something different to make your wedding party stand out?? Want something a little quirky, but beautiful for your bridesmaids to carry?? Does "traditional" not describe you at all?? I may have found a new trend in flowers that just might do the trick....the Flower Purse. Flower purses are not completely new to the bridal industry. Something similar was in style back in the eighties/early nineties. 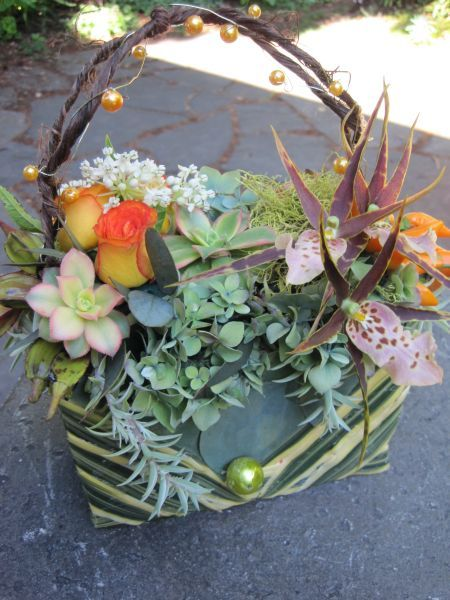 The trend then was for bridesmaids to carry a floral basket--basically a wicker basket full of flowers. These new floral purses have the appearance of being completely made of fresh flowers and greenery--giving this floral purse an unexpected and beautiful twist. So, if you are that bride that wants something new and different for your bridesmaids, maybe you should give a floral purse a try. I know at Flowers by Amanda, we are just itching to make some for the 2013 Wedding Season!! Garden Roses make an elegant substitution for pricey Peonies. Unlike Peonies, they are available all year long. 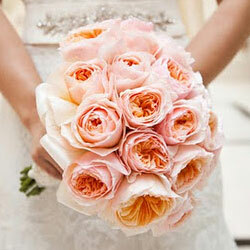 They have a lovely large bloom that, when open, provides a softness and elegance to a bride's bouquet. Many of them also smell heavenly, adding another dimension to each bouquet. They are the perfect choice for brides who want the look of peonies, but don't want to pay a fortune for their bouquet. They earn the rank of being our First Feature Flower for Favorite Flower Friday!! Try saying that five times!! What type of venue is best for my wedding needs?? He's finally popped the question and the day you have been waiting for your entire life is finally here! You get to plan your wedding!!!!! Whether you are the type of girl (or guy) who has been dreaming about this day since you were little (like I was) or the type that didn't even think you wanted to get married until you met Mr. (or Mrs.) Right, you are now faced with a hundred choices that boil down to the perfect wedding for you! One of the first of those choices should be your wedding venue. 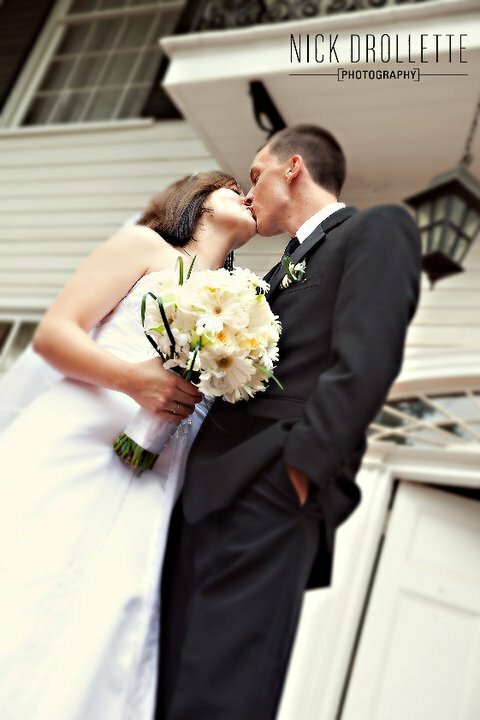 There is a lot to take into consideration when choosing a wedding venue. The purpose of today's post is to help you make the right choice for your big day! 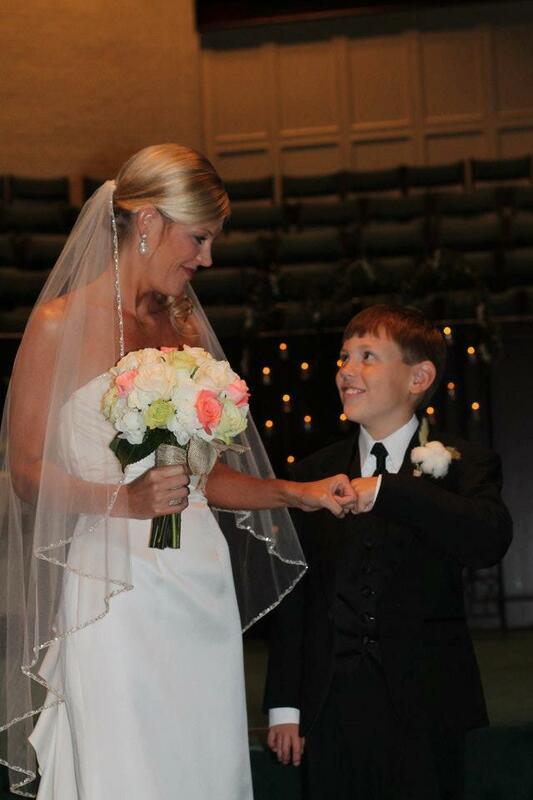 Heather and Tyler were married at Buena Vista Mansion, Prattville Alabama. Wherever you see yourself getting married, you should follow that instict. Most of the time, it is that type of place that is going to make you the happiest. If when visiting a venue you feel absolutely nothing when you see it, this may not be the place for you. Yes, it is possible to transform almost any venue into the wedding of your dreams with enough money, but who really wants to have to go to that much trouble?? When you visit a venue, you should feel emotions.....excitement, happiness, nostalgia, etc. You should be able to envision your wedding or reception in that location. If you can't picture it...move on! I cannot tell you how many times I have seen brides select venues that are too small for the number of guests they desire, or too large for an intimate atmosphere. Take the time to decide how many guests you plan to have at your wedding. If you find a venue that sparks your emotions but it is not large enough to accommodate your guests, it is time to think about which is more important.....an intimate venue you love or inviting that long lost cousin that you haven't seen in years. I see more and more brides opting to choose a venue that will accommodate both their ceremony and reception. It seems to be the way of the times and many guests are loving the fact that they do not have to drive to two locations. If you are planning to wed in a church and party at a separate venue, try to choose a venue that is in close proximity to the church. Otherwise, you may risk losing guests to your reception. If you choose to have both ceremony and reception in the same location, you should make the most out of the space you have and plan accordingly. Do you plan to wed outside?? What happens if it rains?? Is there an indoor alternative if needed?? Many people take the risk of planning an outdoor wedding without a contingency plan for rain, but I highly reccommend that you do not make this mistake. In fact, in the top picture above, the lovely couple planned to have an outdoor wedding in front of this beautiful antebellum mansion, but literally 10 minutes before the wedding started, a huge thunderstorm brought a torrential downpour. Thankfully, there was an area inside of the mansion the couple could use. Even if the wedding had been postponed, the downpour was so strong that the guest seating was soaked along with the decorations and ground. Most likely the bride would have ruined her dress walking down the aisle. Rain does happen--so plan accordingly! Does your venue allow a DJ, an outside caterer, an outside florist, alcohol, etc. These are all questions you should ask before choosing a venue. Many venues require you to purchase food and alcohol from them, which can cost a pretty penny. Many venues allow you to bring in your own vendors, but are higher priced that you may want to pay. Weighing these costs is important before making this decision. Above all, choose a place that meets your needs to give you the wedding of your dreams at the price you can afford. Once you choose the venue, you can move on to other things.....like choosing the perfect florist!! 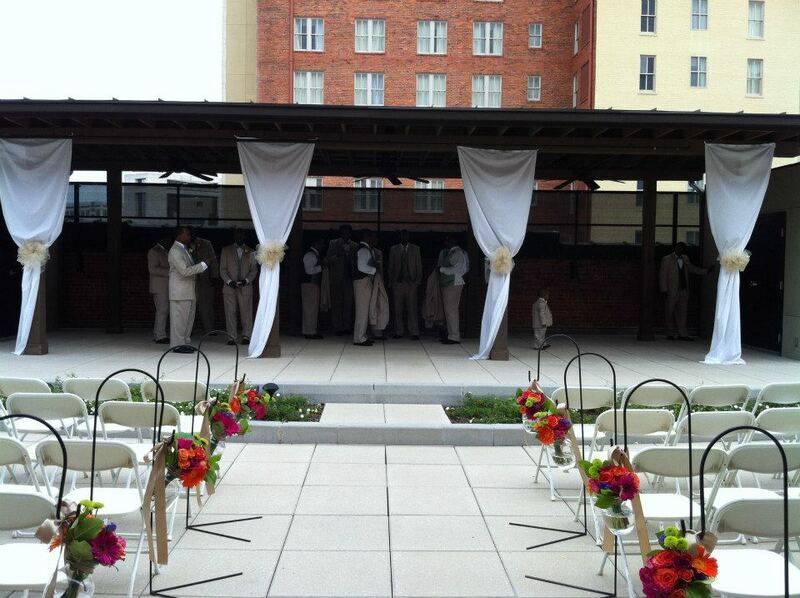 TriSheena chose the Alley Station, Montgomery, Alabama, for her perfect venue. Rustic Weddings...big trend for 2012 and going strong in 2013! 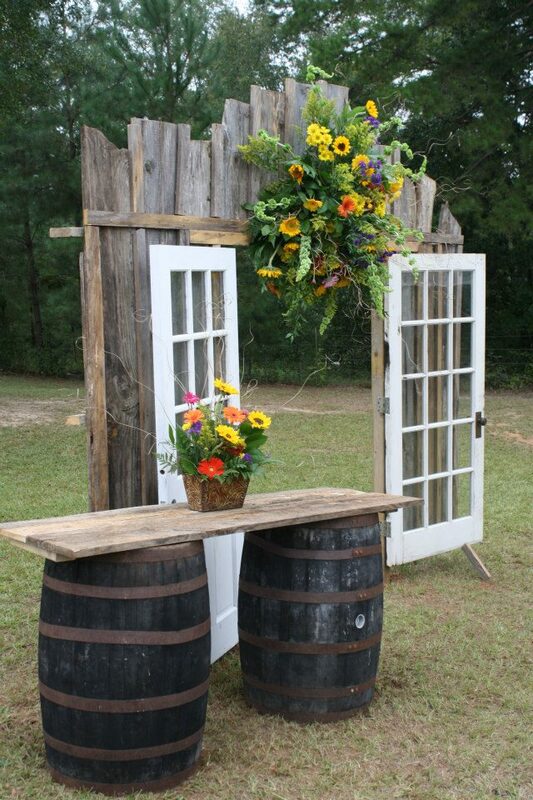 Weathered wood along with vintage french doors make a fantastic rustic wedding arch. This year has been a big year for rustic weddings. Mason jars, burlap, lace, baby's breath, chicken wire, chalk boards and furniture made with weathered wood.....the rustic wedding theme just keeps going strong.......and why wouldn't it....especially in the South, where rustic weddings are a perfect fit? But rustic weddings aren't just for us Southerners....this is a national trend that thousands of brides have fallen in love with. So, should you have a rustic wedding?? After all, if everyone is doing it, what will make your wedding special?? The great thing about rustic weddings is that no two ever seem to be exactly the same. Brides are incorporating their own personal tastes and personalities into their own rustic wedding....which makes each one unique and special. Check out the variety in the images below.....all these are considered rustic....and all are unique in their own way. Whiskey Barrels fit perfectly into the rustic theme. Notice the floral container incorporates the copper from the banding on the barrels. 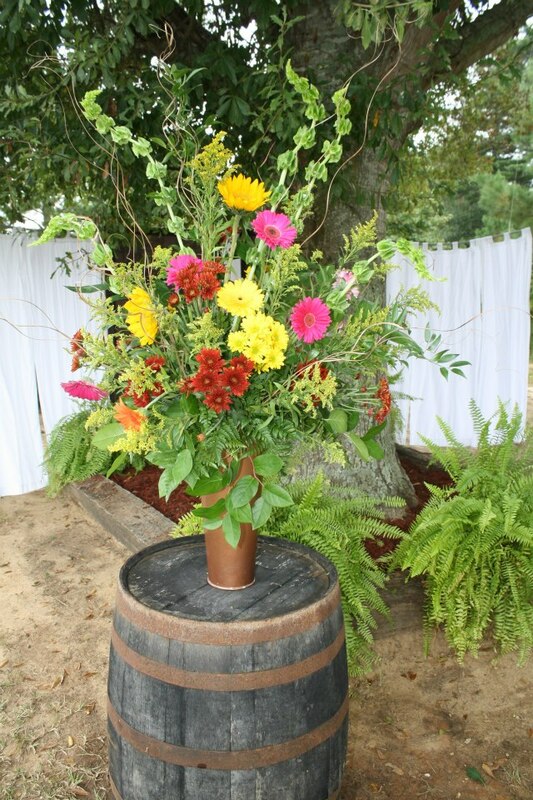 A mixture of sunflowers, gerbera daisies and mums contributes to the rustic look. A mixture of mason jars and tin cans decorated with burlap, twine, and lace add a unique touch to these table centerpieces. 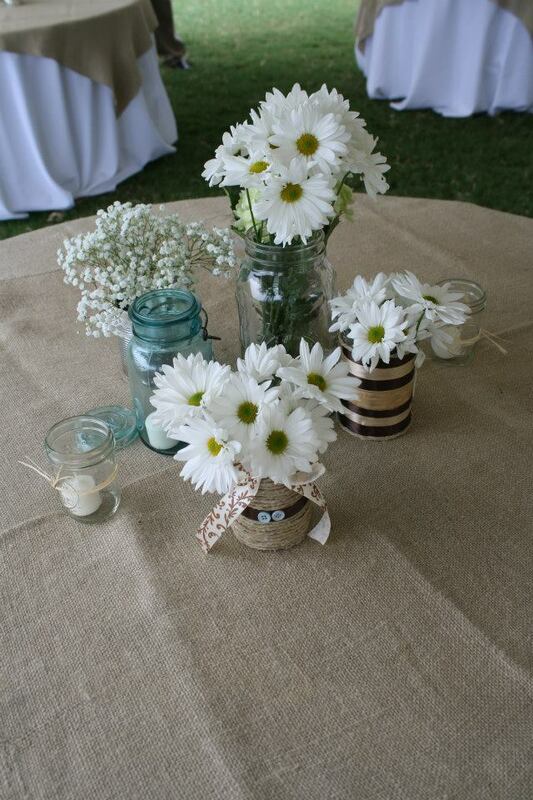 Baby's breath and daisies fit perfectly into this bride's vision of a rustic wedding. 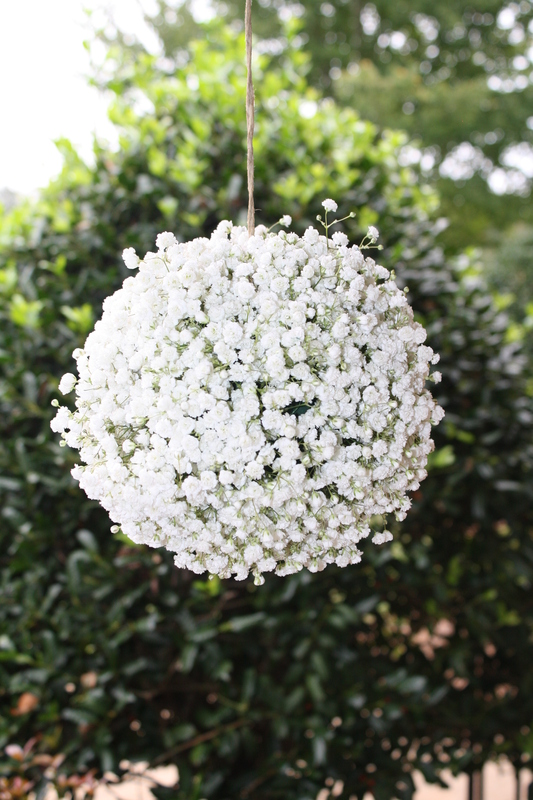 Baby's breath kissing balls hanging from the trees fulfilled this bride's vision of a rustic wedding. This beautiful bride incorporated cotton into her wedding decor in honor of her fiance, who is a cotton farmer. Not only were the groomsmen boutonnieres made of cotton, but much of the decor at the reception revolved around cotton, mason jars and southern ferns. As you can see, each of these weddings has it's own unique flavor...but each one is considered "rustic." So, if a rustic wedding is what you dream of, don't let the popularity of this theme turn you away from it......just strive to make it your own!